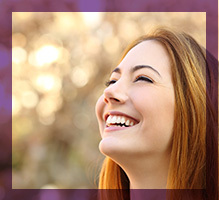 Cosmetic Dentist Lawrence: Why Choose Dental Veneers? When you want to enhance your smile, you have many options to choose from. Do you find yourself smiling with your mouth closed? Do you try to hide your teeth with you talk, eat or laugh? In this day and age, there are so many cosmetic dental procedures available that you should be able to smile confidently. Depending on what kind of results you want, there’s a good chance that you have a few options to consider, and today, we have set out to highlight one of the most popular cosmetic procedures — dental veneers. Veneers are made of a thin, tooth-colored material that is bonded to the front of your teeth, helping to enhance their appearance. Dental veneers can be used for a variety of dental problems, including stains or discoloration, chips or cracks, gaps, narrow smiles, small teeth, crooked teeth and misshapen teeth. Dental veneers are almost as strong as natural enamel, and they can help you retain a beautiful smile for a lot longer because they are resistant to discoloration and staining. #1. Veneers can enhance your smile. Regardless of what the problem is that is keeping you from being able to smile proudly and confidently, there’s a good chance that it can be corrected with dental veneers. Dental veneers can be used for almost any dental problem that is affecting the appearance of your smile, and they will allow you be proud to show off your smile once again. Imagine smiling confidently, instead of feeling like you have to hide your smile or keep your teeth hidden. That confidence is worth its weight in gold! #2. 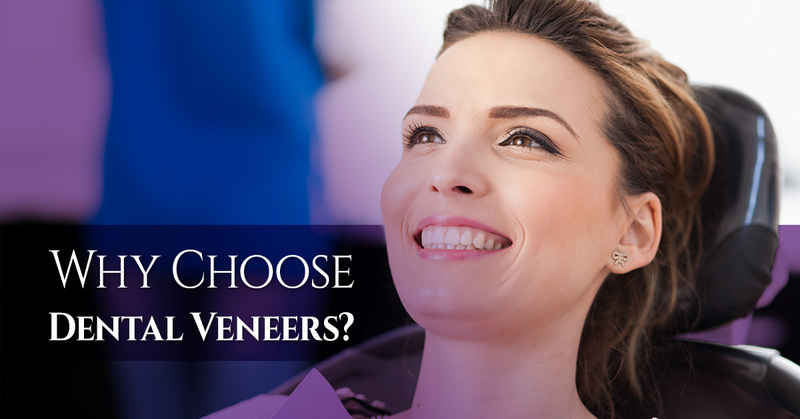 Veneers can prevent the need for other, costlier procedures. As we mentioned earlier, veneers can be used to correct gaps and crooked teeth, two problems that would otherwise need to be corrected with braces. Not only are braces expensive, but it can take months, if not years, to get the results you want with braces. As long as misalignment or gaps aren’t causing problems that can only be fixed with braces, veneers can get you the result you want without having to get braces. They can also prevent the need for tooth contouring. #3. Veneers keep your natural teeth intact. Many cosmetic procedures are much more invasive than dental veneers, requiring tooth replacement or reshaping to get the aesthetic result you want. but with dental veneers, you can enjoy a more beautiful smile while protecting your natural teeth and keeping them intact. Keep in mind that dental veneers do require a small amount of enamel to be removed, but the vast majority of the tooth will remain. These are just a few of the many reasons to choose dental veneers, and in our next blog, we’ll be going over a few more, so be sure to stay tuned. In the meantime, take the first step towards achieving a smile you can be proud to show off to the world by scheduling your appointment with us at James Otten Dentistry today. We can help you determine if dental veneers are the right option for you in Lawrence. Visit us online today to schedule your appointment!